Can a debt collector contact you about the debts of your deceased spouse? What information should you give to the debt collector, if any? The answer often depends of the type of debt, and whether the debt was incurred jointly or by the deceased person alone. Many people are concerned that other family members, such as their children, might be responsible for the debts of their deceased spouse. The law on this issue is clear - family members are not obligated to pay the debts of a deceased relative from their own assets. The estate executor, or administrator if the person died without a Will, is responsible for paying any valid debts out of the deceased person’s estate. This is one of the primary reasons for probate – so any outstanding debts can be settled. This means that, while your heirs can inherit your worldly possessions, they will not inherit the debts of your deceased spouse. The exception is if a family member agreed to be jointly responsible for the debt; for example, if father and son were co-signors on a loan. Joint account holders are usually fully responsible for the entire debt, even if all the charges were just made by one person. If you and your spouse have joint bank accounts or are co-signors on a credit card, you probably are responsible for your spouse’s debt. But if the account or credit card was held in your spouse’s name alone, you probably are not liable for that debt. Of course, this doesn’t mean that debt collectors won’t contact you anyway. If you start receiving collection calls after your spouse’s death, you need to determine three things: (1) is the debt valid; (2) is it within the statute of limitations; and (3) are you liable for it in any way. When answering these questions, never rely on what the debt collector tells you. It’s important that you seek the independent advice of a skilled and experienced Ohio probate attorney who can help you sort out the answer to these questions. In many cases, you can even direct that the debt collectors stop calling you and, instead, have them contact the lawyer for the estate. Debt collectors are regulated by the Fair Debt Collections Practices Act (FDCPA). A debt collector is someone who regularly collects debts owed to others. This includes collection agencies, lawyers who collect debts on a regular basis, and companies that buy delinquent debts and try to collect on them. The FDCPA protects consumers from abusive, unfair, or deceptive practices to try to collect on a debt and covers all consumers – including all family members of the deceased. A debt collector may discuss the deceased person’s debt with the person’s spouse, parents (if the deceased was a minor child), guardian, executor, or administrator, as well as anyone authorized to pay debts from the estate of the deceased person. Debt collectors are not allowed to discuss the debts of the deceased with anyone else. Even if you are contacted by a debt collector seeking payment for the debts of your spouse, it’s often better to simply give the creditor the name of your probate attorney, and have them discuss the debt collection efforts with the lawyer. When a person dies, their estate is born. The estate will have someone, known as the executor or administer, designated by the court to handle the financial affairs of the deceased. If you are not in charge of your spouse’s estate and are contacted by a creditor, direct the caller to contact the lawyer for your spouse’s estate, and tell the debt collector you do not want to be contacted about the debt again. Talk to an experienced probate attorney who may be able to work something out with the creditors of the deceased while you get your finances in order. 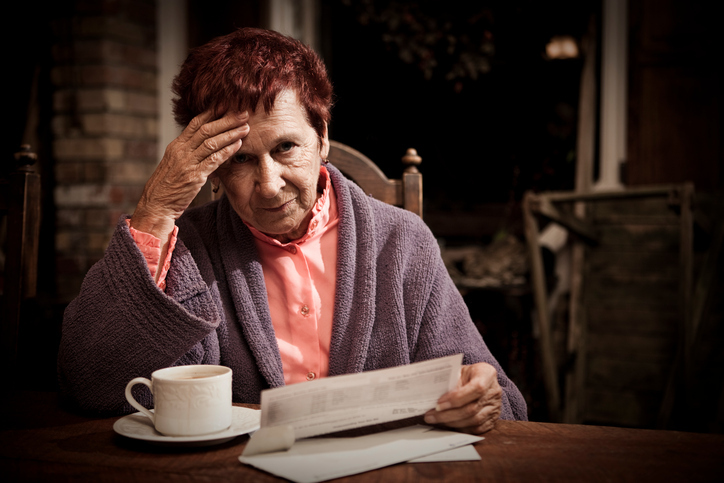 If you are the surviving spouse, a joint account holder with the deceased, and are having trouble paying the bills, you may be able to work something out with the creditors. Talk to an experienced probate attorney who may be able to work something out with the creditors of the deceased while you get your finances in order. We typically advise our clients not to discuss outstanding debts of their deceased parents or spouse with anyone except their lawyer. In fact, we recommend that our clients not release information about the deceased, including the fact that the person has passed away. Debt collectors will use this information to file a proper claim against the estate. Without a proper claim, and without knowledge that the person is deceased, the debt collector might never know that the person has passed away, and might not file a claim against the estate in time. If you have questions about whether to pay the debts of your deceased spouse, contact the experienced probate attorneys at Wolfe Legal Services today.